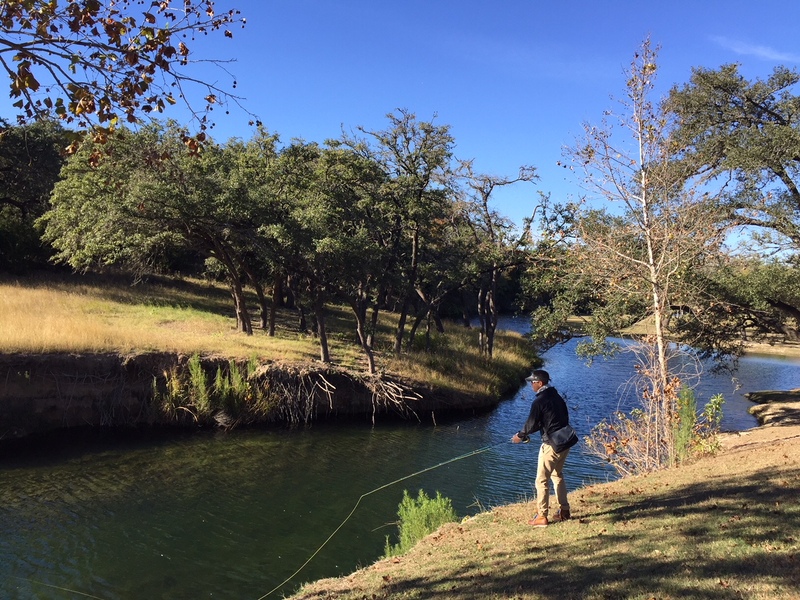 Deep in the heart of TEXAS…..
Because I wanna catch fish? The outdoors is one of those things I find intensely amusing. Some people are very attached to being outdoors while others feel discomfort even leaving the pavement(I once had a student from New York City FREAK OUT in Galisteo Basin because he didn’t have any buildings overhead. )Me, I don’t care which catagory you inhabit, or skirt, or call home. I just hope you are happy, helpful and driven, and if you do have an interest in the outdoors I hope you give it the attention it requires. My love of the open spaces comes from my parents and from where I grew up, and I guess you could also throw in the era I grew up in. A time when you could go outside without much fear. No laced pixie sticks, no razor blades in Halloween candy and not much stray fire, at least not that I remember. We had “Pong,” which was clearly the pinnacle of technology, but I was outside all day everyday, and the idea of being inside, or inside on a screen, was associated ONLY with being in trouble. My parents were hunters, going back to the late 1960’s. Mostly deer, antelope and elk. Mostly Wyoming. They were also river runners, hikers, etc. They once ran the Middle Fork of the Salmon in Idaho the week after Sir Edmond Hillary lost several members of his crew to the river. My mom remembers seeing their clothing and supplies stuck up in the trees along the banks. It was a serious run to say the least. I always find it humorous to talk the outdoors with city people. Normally when you mention hunting and fishing you get the eye roll or the “disgusting” comment as they take a bite out of their burger or veal cutlet. This bugs some people but I understand it. It’s familiarity. And knowledge. Or lack thereof. I’m a meat eater although I’m really cutting back and could see myself going cold turkey one day. Get it?? Cold turkey???? I’m so witty. I feel better eating lighter, especially as I get older but occasionally, like this morning, I feel the need to eat an entire package of bacon. True story. HOWEVER, these moments are getting fewer and further between. I was never much of a hunter myself, and when I did hunt it was mostly birds. Dove, quail, duck, geese, pheasant, chukker, etc. And within this range it was dove and quail mostly. Nothing like game smoked in a smoker all day then consumed under the stars of a remote South Texas sky. I fished a lot. And still do whenever I get the chance. Most of the time I catch and release, but if there is walleye on the line then all bets are off. They will die and I will flex my food chain muscle. The best eating fish I’ve encountered. The last fifty years has seen a human migration unlike any other in history. We morphed from a country people to a city people. Worldwide. There are some that say the only way for humans to survive in the future will be in high-density, urban environments. I for one am glad I’ll be gone. For me there is no substitute for nature, for open space and for the rhythms of the natural world. When I’m in these places and spaces it’s clear I’m the object that doesn’t belong. The rogue species, soft and inept, leaving traces. So when I leave these moments behind I tip my cap, say thanks and I take a moment to acknowledge how lucky I am. Ha! I’ve met so many people like your student. I, however, am the opposite. I freak out when I can’t see the sky or hear the silence. I totally get what fly fishing does to you. I’ve only been a handful of times but the feeling I had was very similar. It’s a zen-like peacefulness. The line zinging. The repetitive motion. Nature. It all comes together in a very specific way. Deep sea fishing did not do that for me. Freediving did. It’s sad to me that we’ve lost so much contact with the natural world. That concrete, steel and glass have become more important than the feel of dirt between our toes, the wind in our hair and the smell of open space in our nose. Not sure of the answer but sometimes there is progress in moving backwards. Even just a little bit. And defining “progress” is a dangerous game. Like housing developments 80 miles from Phoenix off the I10 with ZERO public transport. Cheaply made houses that will need repair in five years, don’t heat or cool efficiently, but that’s still considered “progress.” We are doomed. i categorize those as “pop-up” neighborhoods. same vein as the pop out board makers that began to dominate the surf board industry several years ago. they have a 10 year shelf life. max. i’ve been documenting, off & on, their construction between denver and boulder for the past couple of years. makes me want to win the lottery so i can just start buying up open land and sit on it. When I was a kid it was prairie between Denver and Boulder. Even in the 1980’s when I’d go cycling there with my brother there were patches of prairie. Haven’t been in ages. I just plain don’t like meat that much these days, and I can trace that directly back to knocking the heads off chickens and taking them apart. That was damn near 30 years ago, but in the intervening decades my awareness of exactly what I am putting in my mouth has gradually increased until it’s about 80% intolerable to me. While I have not disassembled a cow, I pretty much get the picture. I like cows. Cows are lovely. Bacon isn’t meat. It’s its own food group. Called Heaven. I am barely eating meat at all, and when I do it’s mostly fish here and there. As long as someone is eating GOOD meat then I say go for it, but you gotta know where to look. I dreamt the other morning of the predawn trips I took with my dad to rock hop the little streams in New Hampshire. I was 10 or 11. The only one of five kids who wanted to get up that early for the adventure. We’d catch native brook trout, bring them home and while everyone but my mom was still asleep, I watched my dad roll them in flour and cook them in butter alongside a pan full of bacon. My sibs woke up to that smell and enjoyed our labor of love. Good times. Miss those days. I know a few of those streams. Did you say BACON? I am trying to “learn” fly fishing but SoCal is no exactly a fly fishing mecca. any suggestions on where to go near San Diego? I’ve never fished in those parts. You MIGHT have to aim further north. I’ve not fished too much in California mostly due to crowds, but there are still places you can find. Eastern Sierras might be what you need. Or head to AZ, NM, etc.